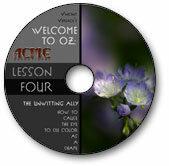 Announcing an all new interactive six DVD training series designed to give you the knowledge to take your creative expression to a whole new level! The lessons are geared for the person who wants to be in a beginner’s mind. They are at once both advanced and straightforward. 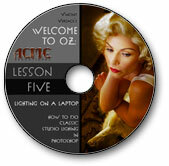 Whether you are a novice, intermediate or advanced Photoshop user, you will find the lessons will accelerate your knowledge to match the quality of your vision. These lessons have taken me personally years to discover and develop. They are shared here for you to learn, integrate the knowledge and stimulate your creative process. This lesson teaches that workflow is not static, but dynamic. Practice doesn’t make perfect, but rather perfect practice makes perfect. Learn how to engage in a perfect practice. 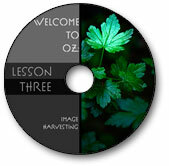 Learn how to analyze an image through the use of image maps and how to light in Photoshop. How many times have you taken a photo and when you get it on the computer screen say that it isn’t at all what you saw? In this lesson, learn the best way to create an image that looks like what the eye saw – and not just what the camera captured. 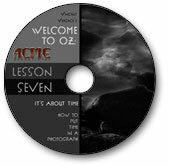 You will learn a technique called “Image Harvesting” that includes how to get it right at the point of capture by practicing “preemptive Photoshop”, how to make image manipulation decisions based on how our eye sees, and specific Photoshop techniques in order to create that final image that the eye saw. In this thought provoking and skill-building lesson, you will receive a master class on how light, shape, gesture and color work. You will learn how the eye works and how to consciously guide the unconscious eye. As you listen and absorb the ideas and techniques, your approach to creating aesthetically satisfying images rather than “historically” accurate ones will never be the same. Take the time to study this lesson and let it open your eyes to a greater understanding of the image editing process and how to have complete mastery of the images that you create. The objective of this lesson is to believably replicate classic glamour lighting as well as replicate the quality of the light this approach produces using Photoshop. You will take a naturally lit subject & transform the image to replicate the lighting style of Hurrell, whose classic Hollywood glamour photographs of the 1930s and ‘40s are iconic; his dramatic use of light was second to none. Starting with the initial image capture and lighting considerations, learn this Photoshop lighting approach using techniques to make choices that emulate reality. Apply them not only to glamour photography, but also to animal, wildlife, plant and other environmental portraits. In this lesson, we explore the most elusive thing in photography: placing the experience of time in a photograph. As an example, we take on the challenge of water. The usual approach to photographing water is to either freeze it or blur it. Neither image will express the experience of time in a way that matches yours when you saw it. I have found that to create an image that conveyed the experience of the ebb and flow of the water, I had to create one image that contained all expressions of the water’s motions as it changed over time. I share this dynamic workflow approach combined with Photoshop techniques to build up an image that captures motion with stillness and, in that moment, hold time still, yet experience the feeling of its passing.